Head and neck squamous cell carcinoma (HNSCC) is the sixth most prevalent cancer worldwide. Although the overall incidence of HNSCC has decreased over the years due to public health efforts to promote smoking cessation, the incidence of oropharyngeal (tonsillar area) squamous cell carcinoma (OPSCC), which is associated with human papillomavirus (HPV), has increased over 200% from 1984-2004. 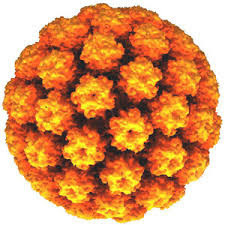 Published in August 2015, “Human Papillomavirus (HPV)-Associated Oropharyngeal Cancer,” details the research and clinical management of the disease, including work on the epidemiology, virology, molecular biology, and treatment paradigms specific to HPV-associated OPSCC. The book was edited by M. Sharon Stack, the Kleiderer-Pezold Professor of Biochemistry and the Ann F. Dunne and Elizabeth M. Riley Director of the Harper Cancer Research Institute at the University of Notre Dame, and Daniel L. Miller, an M.D./Ph.D. candidate at the University of Missouri School of Medicine who received his Ph.D. in Stack’s lab in 2014. “HPV-associated OPSCC is a rapidly emerging worldwide public health problem, with close to half a million new cases per year. Our goal with this book is to provide a comprehensive overview of state-of-the art basic science research and clinical management of the disease,” said Stack. An accomplished scientist, Stack’s research focuses on the molecular mechanisms of metastasis in ovarian and oral cancers. Her work aims to understand the multiple micro-environmental cues that regulate tumor progression to metastasis, with the goal of finding ways to prevent metastasis in these cancers. Stack is a member of the Department of Defense Ovarian Cancer Research Program (DOD OCRP) Integration Panel and Vision Setting Panel. She has published over 150 peer-reviewed research articles and reviews and is a member of the editorial board of Cancer Research. 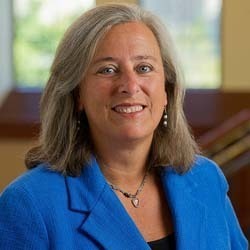 In 2012, Stack was elected a Fellow of the American Association for the Advancement of Science. Originally published by Stephanie Healey at science.nd.edu on September 15, 2015.